A new year. The best time to start strong. 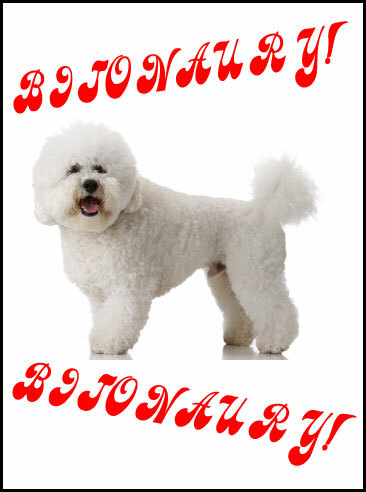 And what says strength more than the mighty Bichon Frisé?! 1. Did you already do an Annual Review? If not, take a look at mine, and consider taking a few minutes to do one. Even if it’s just a few bullet points, it’s important, nay, vital, to know what your goals are for the year so that you have a measure with which to weigh your progress. 2. Below is an outline of what I will personally be doing. For a more comprehensive look, take a look at my original Immaculata experience, or the Offical Guide to last year’s Super Ultimate Turbo Charge. Like always, I encourage you to pick and choose the items that you feel resonate with you, and to add any others you don’t see. 3. If you haven’t already, get yourself an Immaculatize CAN-endar! It’s a great way to track your progress, stay motivated, laugh, and all proceeds go to The Leukemia and Lymphoma Society! 4. The best way to keep with your plan is to join the thriving community in the Immaculatize Facebook Group. It’s lots of really great, supportive, funny people working on awesome creative projects. You’ll dig ’em. Jump-start into a year of productivity, health, and happiness. Do at least one Immaculatize podcast before the end of February. Write at least one Immaculatize blog entry each week. Be religious about my to-do list. Get things done. Since September 2010 I’ve done this plan roughly 5 times, so it’s old hat. It will certainly still be a challenge at times, but knowing how good I’m going to feel, how soon I will be all aglow, I’m looking forward to it. Alcohol, drugs, and tobacco are especially no sweat at this point. The biggest challenges will be coffee (which I started drinking somewhat religiously earlier this year) and as always, Lady Sugar, Temptress of Evil. Meditation is always a challenge, but by making it simply 3 minutes a day it seems all the more doable, and I’m hoping the duration will quickly expand. Eat healthy, exercise, and get things done. It’s a formula that equals happiness for me 100% of the time, so time to stick with it as often as possible. Good luck and here’s to 2012 being the best year ever! I quit smoking cigarettes and lessened my alcohol intake AND uptake. Thanks Immaculatize! Cigarettes are the hardest!! Congrats, and keep trekkin’ the good trek.